This morning we had planned to go out for breakfast to Einstein's Bagels. I was going to pack one of my own grain-free Cranberry Walnut Power Bagels or Cranberry Walnut Mini Loaves to take along with me...but the weather is just so awful here today (cold, windy, monsoon rains, thunder and lightning) that we decided to just stay in and enjoy them in the warmth and comfort of our own home instead. 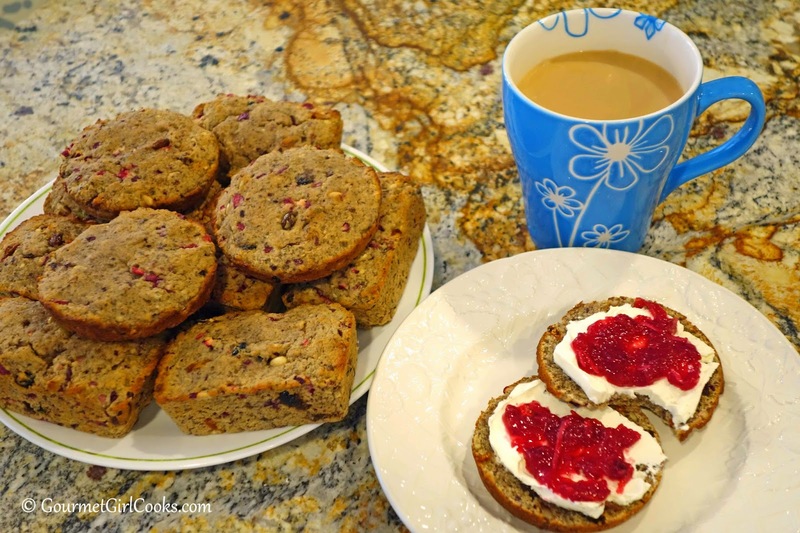 I enjoyed mine spread with cream cheese and topped with fresh Cranberry Orange Sauce "jam." Guess I have no choice left now but to get an early start on making some of our Thanksgiving dishes. It's just way too ugly to go out. I snapped a quick photo of what I had planned to take with me this morning. Enjoy! 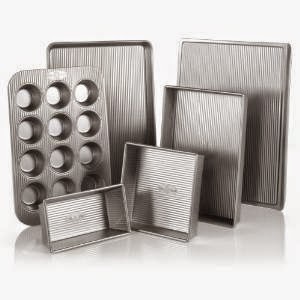 USA Baking Pans - Absolutely the BEST! USA Pans - BEST Baking Pans Ever!